Good solid little J frame. 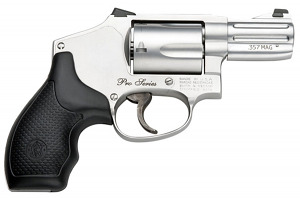 I don’t understand why Smith lists this as a Performance Center revolver when it clearly is not. I had to change springs and do an action job on it to make the trigger pull decent. 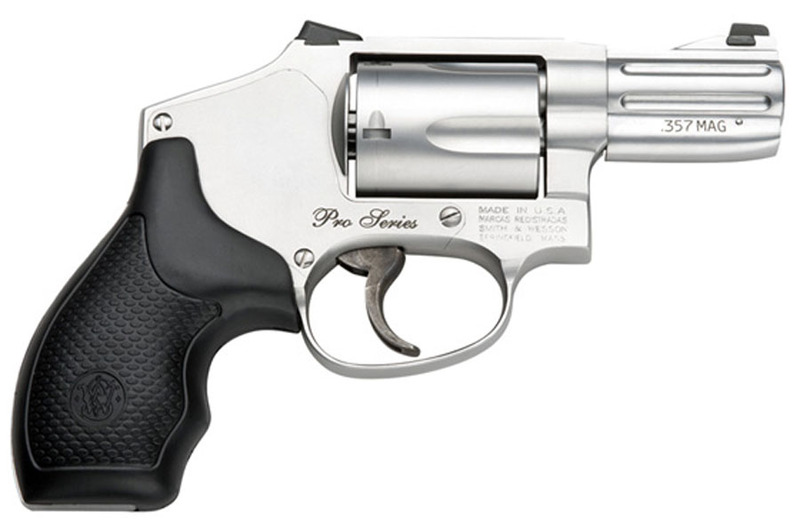 Excellent sights and handles well with Crimson Trace 405 grips on it. Do not tighten the stock grip screw more than snug or the escutcheon nut will pull out, stock grips are pretty useless for big hands anyway. Can’t find a holster for it as the holsters for the 640 do not accommodate the higher front sight ramp and post, I knew going in that finding a holster would be a problem. Probably will need to go custom made.